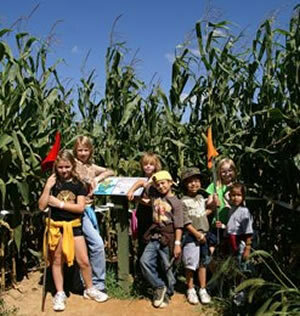 12 Acre Adventure Corn Maze! 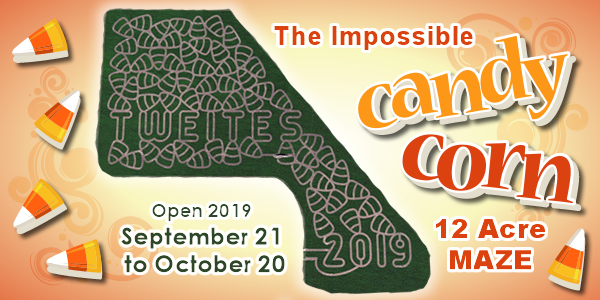 The Impossible Candy Corn Maze! 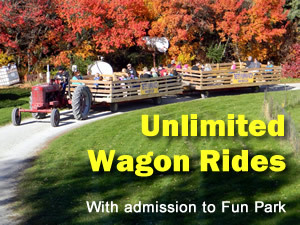 This maze is designed to be both fun and challenging for guests of all ages. At first glance, you may see that the maze has no dead ends. Sounds easy…right? But the challenge is not to simply get through, but to find all 9 checkpoints that will help you fill out your game cards. With a staggering 4.1 miles of paths you will completely lose your sense of direction. But don’t worry about getting too lost. 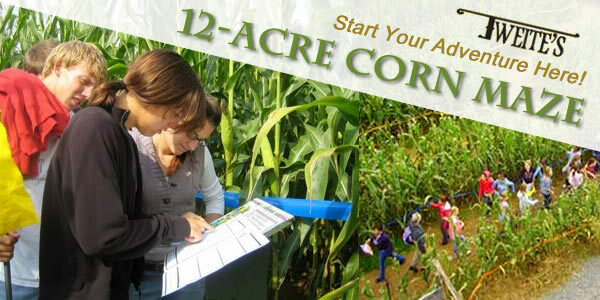 Every participant is provided with a map of the maze, including instructions on how to activate your smart phone easily into a GPS to help find your way out, for those who do not want to be lost forever. 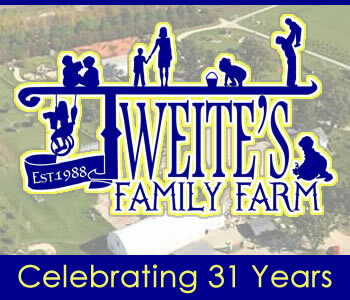 12-Acre Corn Maze Admission is $8.00 or want to enjoy Tweite’s Fun Park and 12 Acre Corn Maze, add some food, Old McGeezer’s Golf, and the opportunity to come back do it all again on another visit during the 2019 season. The VIP PASS is for you!